When the time comes, piping hot clear broth is added to a set of 4 in a shallow porcelain bowl, then sprinkled with chopped celery. In an instant, a satisfying bowl of fishball soup is created. 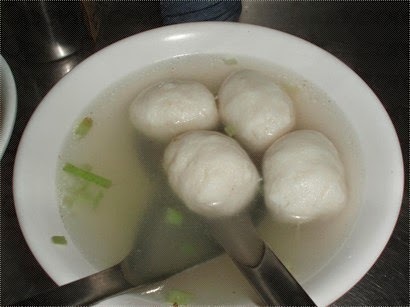 Fishball is available throughout Taiwan. It is the ingredient-fish that gives rise to the distinct flavor of each locale. 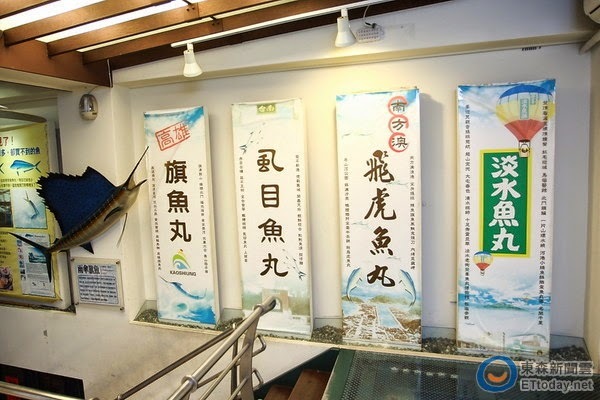 In fact, there are 4 major types of fishball in Taiwan, marlin fishball available in Kaohsiung高雄旗魚丸, milkfish in Tainan台南虱目魚丸, mahi mahi in Yi-lan南方澳鬼頭刀魚丸, and shark in Tamsui淡水鯊魚魚丸. There is an old saying in Tamsui, "六月鯊，狗不拖 [rotten] sharks in June, even dogs spurn". This is a description of the once abundant shark harvests hauled back to port, ship after ship, ca 5-6 decades ago. Refrigeration at that time was reserved for high-value fishes only, not the lowly sharks. By the 6th month on the lunar calendar ("June"), in the summer heat, the surplus sharks began to smell, even hungry stray dogs found them unappetizing indeed. 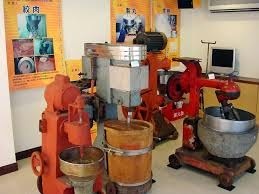 A Tamsui native, 林水木先生Mr Lin Shui-Mu noticing the wasteful loss, came up with the idea of machine-producing fishball. It was at a time when hand-made fishball was still quite pricey. The machine was a Japanese contraption, originally designed for making 蒟蒻konjak jelly. Mr Lin converted the power supply from electricity to the much less expensive diesel, and a new fishball industry was born. 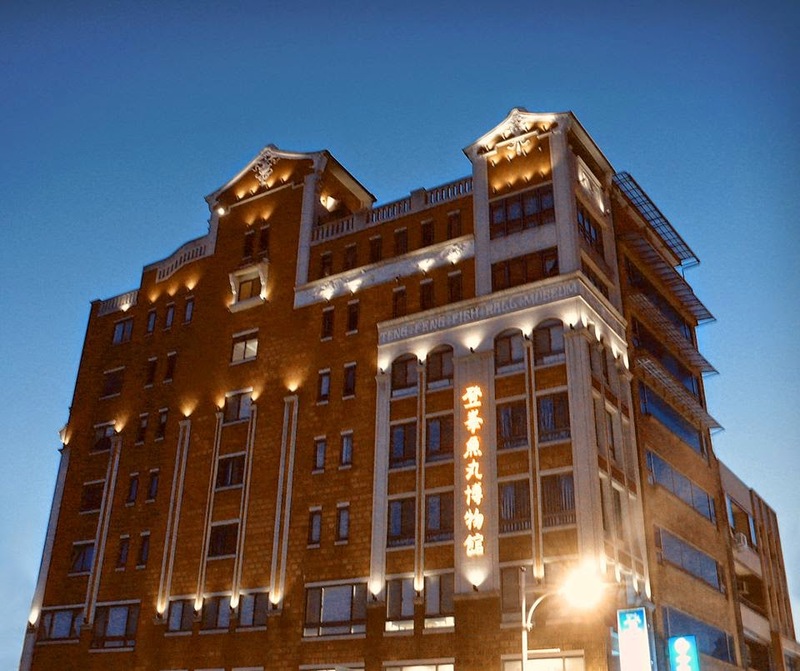 In 1950, together with his business partner 許炳松 (aka 許義)先生Mr Shu Yi, they rented a storefront owned by MaZu Temple, christened it 味香魚丸店 Wei-shiang Fishball Shop and begin selling bagfuls of mass-produced Tamsui Shark Fishball.